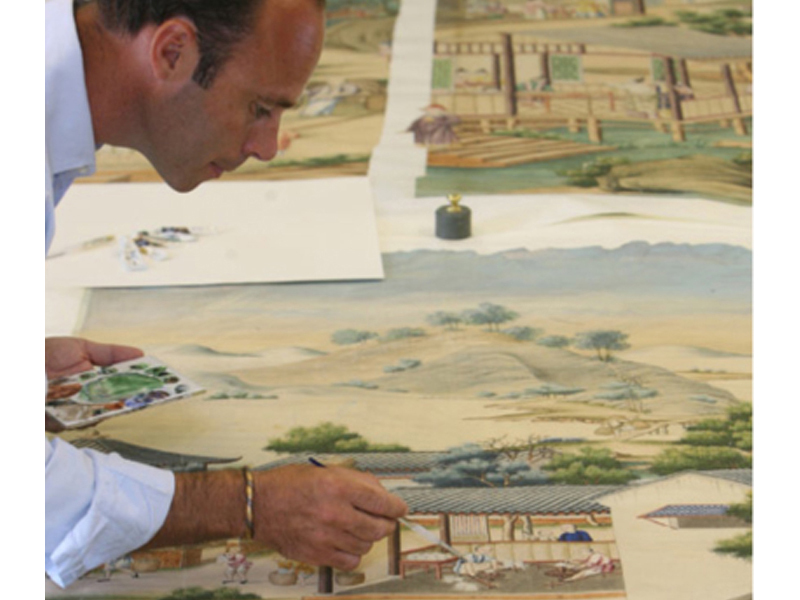 Conservation is a precise combination of art, history and science. Scientific analysis and investigation help us to understand the methods and materials used in the making of an object. 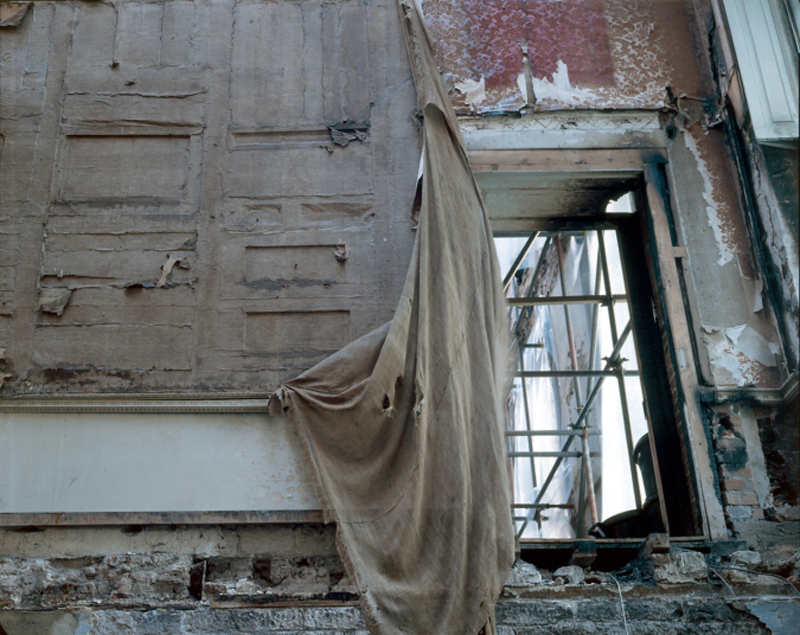 A study of the contextual and social history enable us to appreciate its background, significance and the reasons for deterioration. As each project is unique, extensive preliminary investigation and research are essential to inform the development of a robust but sympathetic methodology for treatment. Our specialist teams comprise conservators, scientists, art historians and experienced and knowledgeable craftsmen and women with a passion for the work and its many and varied challenges. Investigating and recreating authentic period schemes using historical research and scientific analysis. Reconstruction of high quality facsimile wallpapers and decorative schemes using both traditional materials and craftsmanship and the most up to date digital technology. An historic interior, if properly researched, can tell us so much about a building, its occupants, their taste and status, the way it was used, contemporary style and fashion, social history, the availability of materials and the march of technology. What appears to be a blank and barren wall, stripped back to raw timber or broken plaster can prove a cornucopia of delights; if you know where to look. 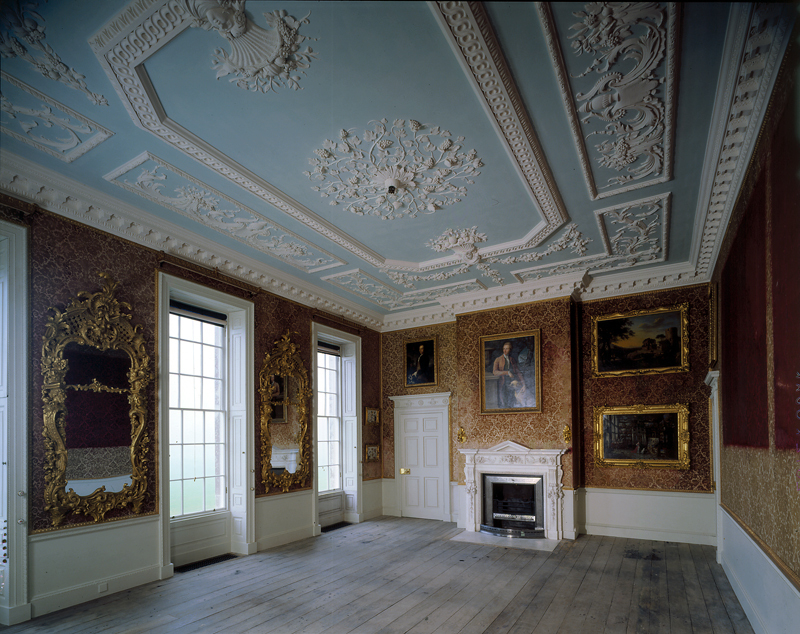 From the tiniest fragment of wallpaper or chip of paint to entire sections of decoration miraculously preserved for centuries, many of these schemes were planned specifically for the room, its architectural features, the direction and availability of light and as a theatrical, and often aspirational, backdrop to daily life. Whether recreating an historic interior using traditional techniques and materials, or using research to inform a more contemporary style, understanding the original reasons for the design and decoration of a space can really bring it alive.